Racists on the Daily Mail comment boards have reacted well to a call for people to stop calling them racist. 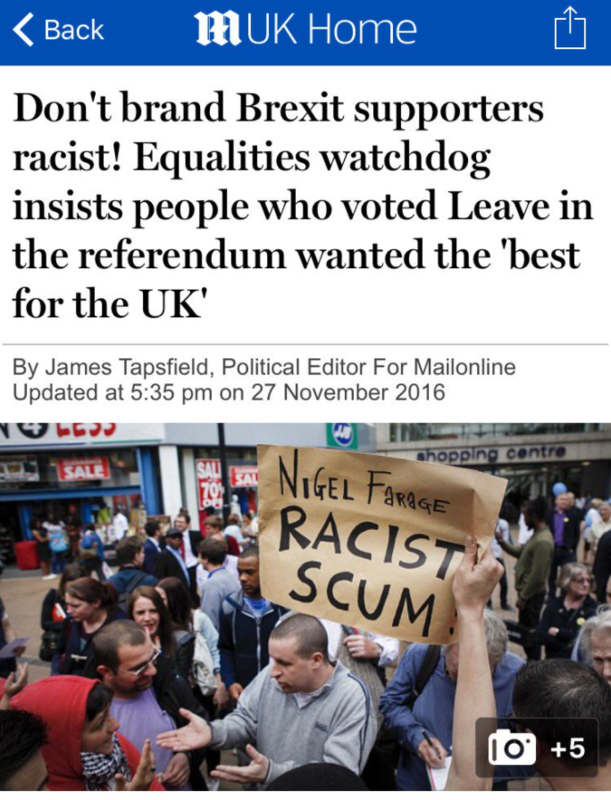 If there's one thing that Leave voters are apparently sick of hearing, it's that they voted leave because they're racist. 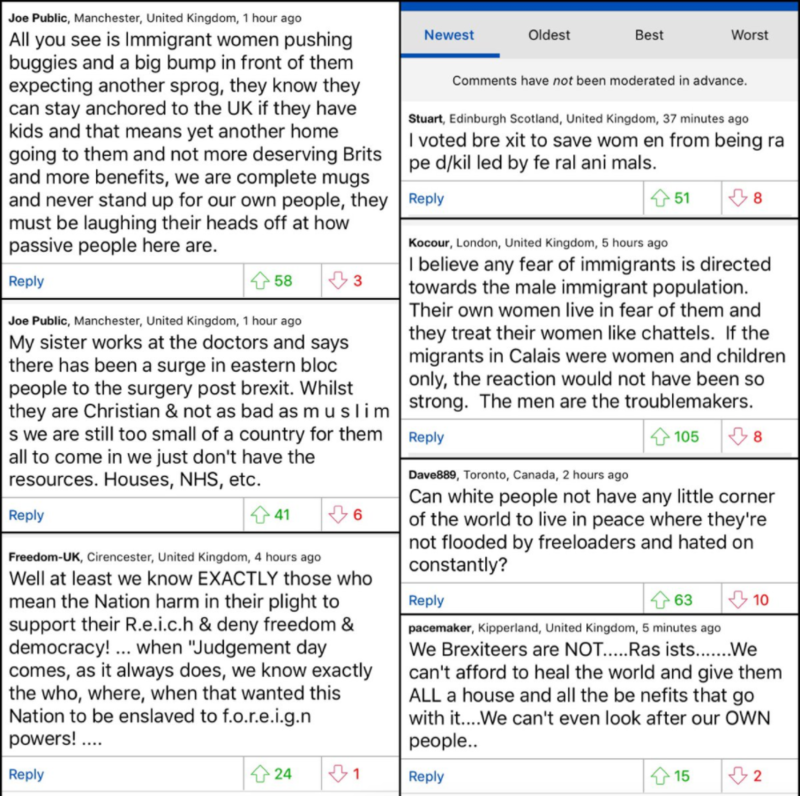 ... Daily Mail readers used the comment section to prove that they were, in fact, massive racists after all. Not all leave voters of course, just the ones who took the time to comment on Daily Mail articles. Twitter user The Daily Mail Reporter compiled the most alarming comments. 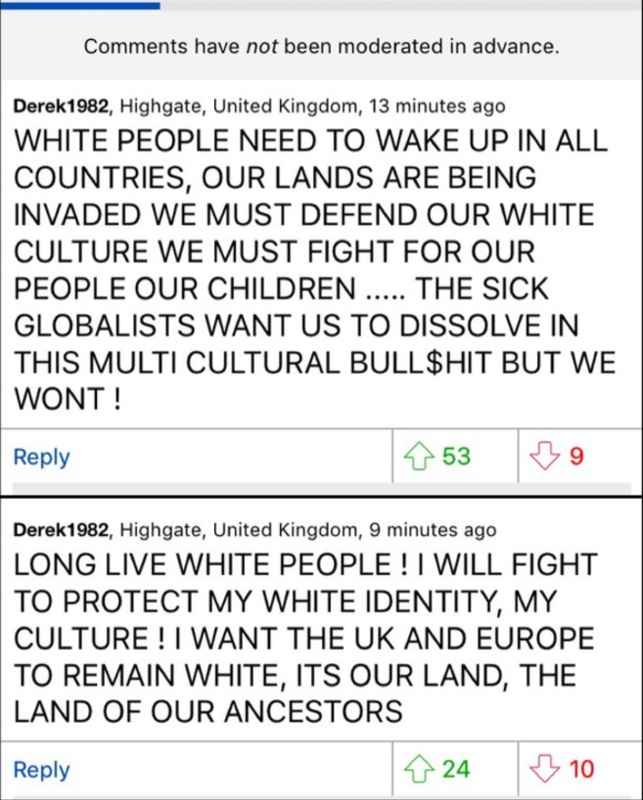 That's a scary amount of upvotes on each racist comment, on an article about how not racist leave voters are. 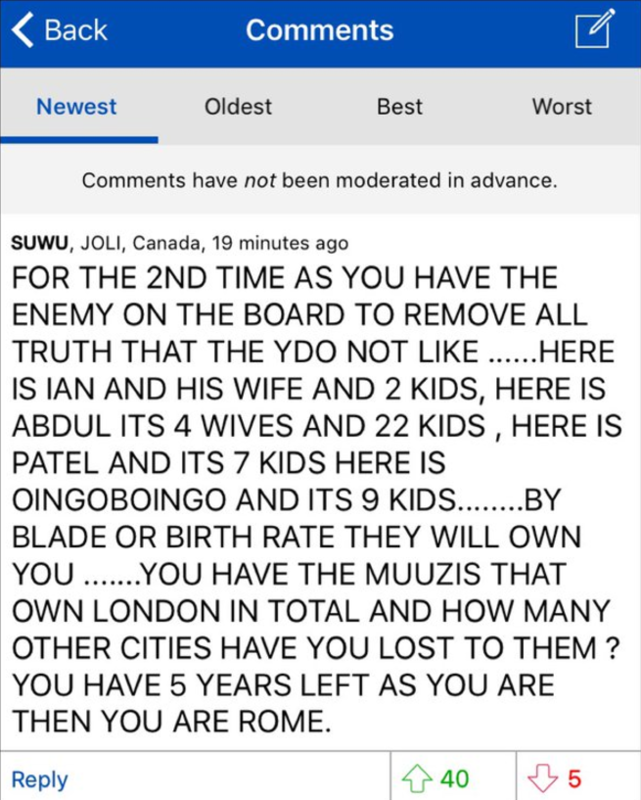 Needless to say, non-Daily Mail commenters have found the comments shocking.